The Art of Coaching Softball was founded with the idea that coaches need coaches every bit as much as players need coaches. Whether it’s teaching skills, designing drills, planning practices, shaping strategies or developing a big-picture coaching philosophy, our experts at AOCSB are here for you every day to share both their experience and their experiences. 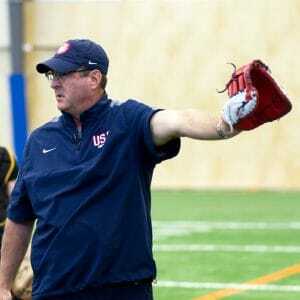 Heading our knowledgeable team of instructors are two of softball’s premier coaches: U.S. national team head coach Ken Eriksen and UCLA assistant coach Kirk Walker. They first worked together in 2000 with a pool of coaches t hat helped prepare the USA team for the Sydney Olympics, and they share an enthusiasm for educating coaches in a collaborative way. Which is to say, they’re committed to learning and growing as they help others learn and grow. 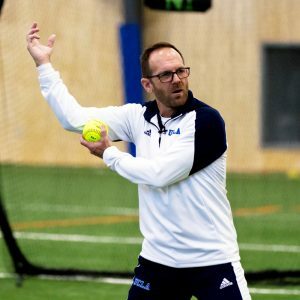 "Exchanging information with a vast number of softball minds has always been a huge passion of mine," Walker says. "Providing feedback, listening to mentors, asking a lot of questions – those are things I enjoy myself and appreciate in others. Art of Coaching gives us an opportunity to take all of that information and make a big difference in a coach’s philosophy and teaching methods. It’s a ripple effect. The ability to impact and inspire a coach can influence the lives of hundreds of players." AOCSB isn’t a one-size-fits-all program. Our website and clinics are dedicated to offering an inside look at the best teaching practices of successful coaches at all levels, one that allows you to shape your own coaching identity. In other words, there are no right or wrong answers. Just good information that makes you think. Our bottom line is this: we want to give you the tools you need to evolve. If you’re a better coach tomorrow than you were today, we’ve done our job. And so have you.